A One Night Stay in a Deluxe Room for two people, with Breakfast in The Gallery and Dinner in The Oak Room Restaurant. A perfect night of relaxation in one of Adare Manor’s Deluxe rooms is a beautiful gift for anyone who could use a little spoiling. A tempting breakfast surrounded by the glorious wood carvings, stained glass, and tapestries of The Gallery will start the day off right. 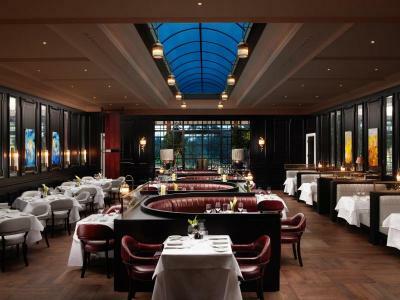 Crown the experience with fine-dining by candlelight in the elegant Oak Room Restaurant. A Two Night Stay in a Deluxe Room for two people, with Breakfast in The Gallery each morning and Dinner on One Evening in The Oak Room Restaurant. 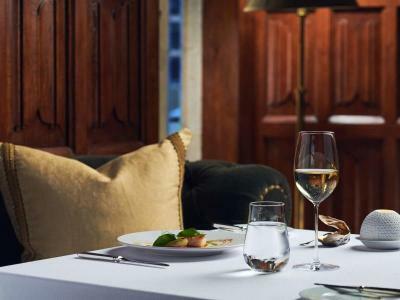 Offer them an indulgent taste of the good life and some of Ireland’s finest food with two nights in one of our sumptuously decorated and profoundly comfortable Deluxe rooms. 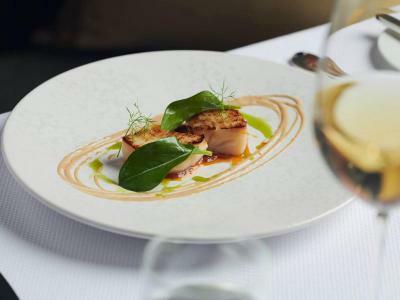 They will enjoy a beautiful breakfast in The Gallery each morning, and on one evening they will enjoy dinner for two at The Oak Room Restaurant, where Irish fine dining is an innovative and exciting gourmet experience. One Night Stay in a Deluxe Room for two people, with Breakfast in The Gallery and Dinner in The Carriage House Restaurant. 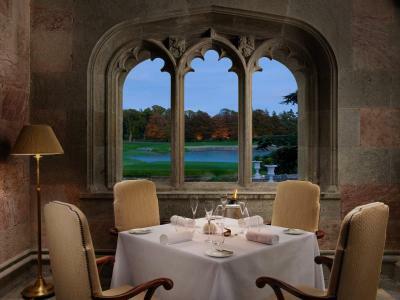 Give them a perfect night’s sleep in one of Adare Manor’s luxurious and captivating Deluxe rooms, followed by an indulgent breakfast surrounded by beauty in The Gallery. This experience includes a tempting dinner for two in The Carriage House Restaurant, where the menu is full of exquisitely prepared and grilled-to-order dishes to please everyone. A Two Night Stay in a Deluxe Room for two people, with Breakfast in The Gallery each morning and dinner in The Carriage House Restaurant on one evening. An unforgettable weekend getaway or a perfectly-timed midweek escape to Adare Manor will leave them feeling pampered and cherished. Two nights’ indulgent accommodation in one of our gloriously comfortable and beautifully appointed Deluxe rooms, with a sumptuous breakfast each morning in The Gallery. On one evening they will be treated to a delicious dinner for two in The Carriage House Restaurant, where they will discover a menu of hearty dishes, expertly grilled and elegantly served. 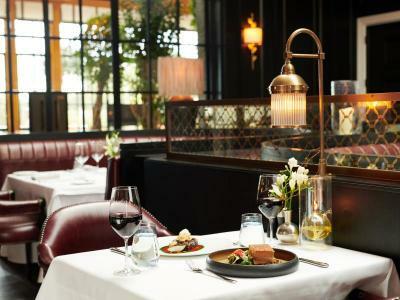 Dinner for Two in The Oak Room Restaurant. A gift for all the gourmet foodies in your life. Irish fine dining reaches a new level of decadence with the innovative and indulgent seasonal menu designed by our Oak Room Head Chef Mike Tweedie. These dishes take diners on a journey through the landscape of Ireland, featuring the most exquisite artisan seafood, meats, and produce from around the country.